The vision behind UNCW CREST Research Park is to provide a space for university researchers, private firms and government agencies to work together in creating the next generation of biotechnology products and solutions. The facility is designed to encourage open and frequent communication between the park's public and private researchers. With features such as a shared cafeteria and coffee nook, the open campus and common public spaces will allow frequent opportunities for informal and formal collaboration and cooperation to help build relationships, form new ideas and solve problems. 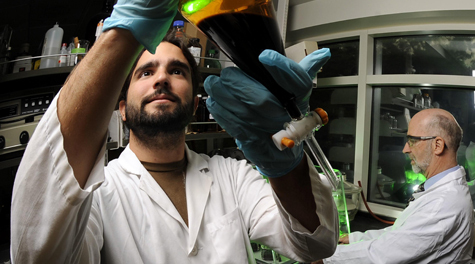 Tenants will have access to more than than 80 established researchers from MARBIONC and UNC Wilmington's Basic Science departments with wide-ranging specialities including aquaculture and mariculture development, natural product research, the business of biotechnology and the development of pharmaceuticals from marine species.